Through our travels, we’ve learned that the discovery process around new flavors, cultures, and cuisines can be overwhelming. Earth Table makes things easier. We curate the best flavors from the world’s richest culinary regions and empower you with simple recipes and techniques. When it comes to global flavors, it’s our mission to make sure you have a seat at the table. ONE BOX. THREE BOLD BLENDS. Our boxes feature three unique spice blends that make it easy to take your weekly rotation of recipes into exciting new directions. 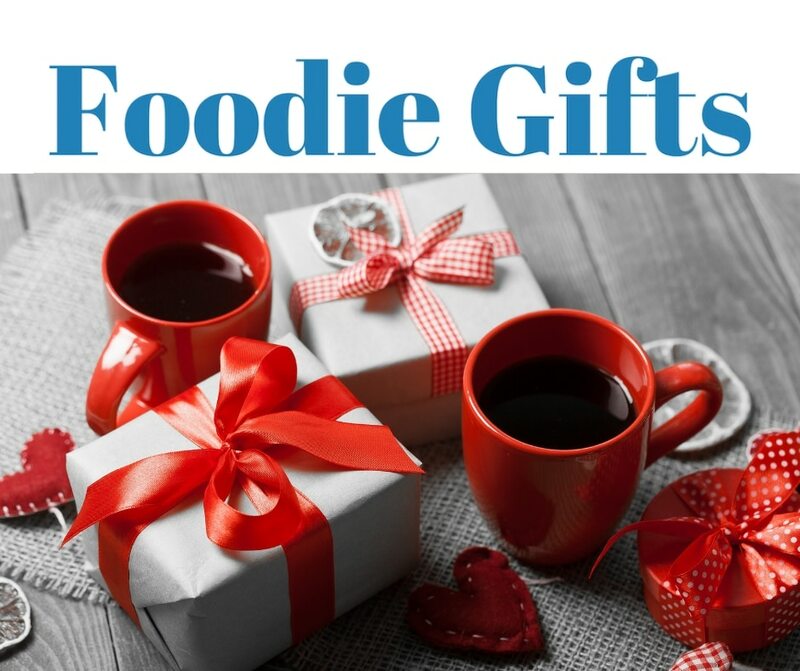 They’re also a perfect gift for the foodie in your life who has everything. A scientist by trade, a data analyst by choice and a caramel maker by passion, Jason founded McCrea’s Candies after a layoff. With time to spare, he began cooking sweet treats and gifts for neighbors, teachers and family friends. Rave reviews and a nudge from an across-the-street neighbor gave him the courage to transition into the sweet science of making candy full-time and start McCrea’s Candies. 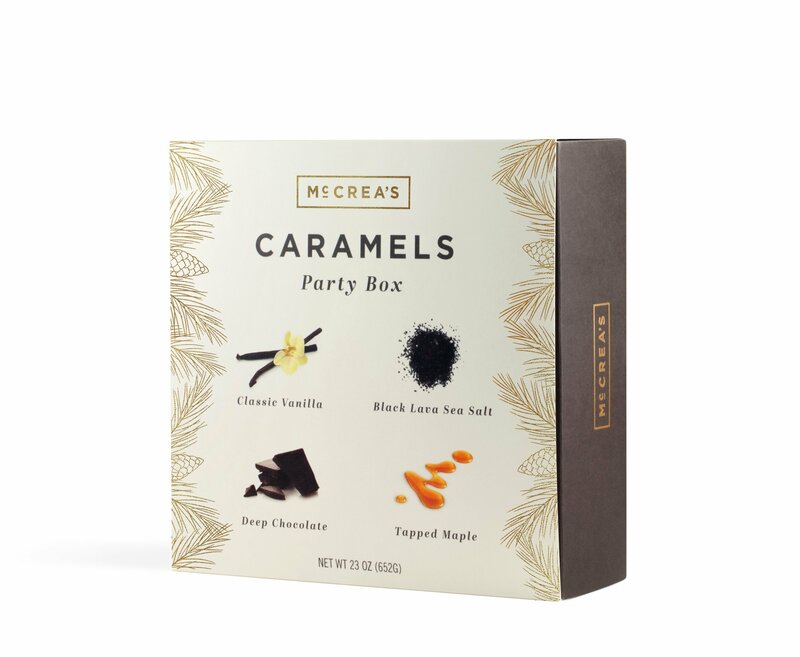 Under Jason guidance, McCrea’s has grown from small neighborhood company to national brand with caramel in over 1,000 retail outlets throughout North America. 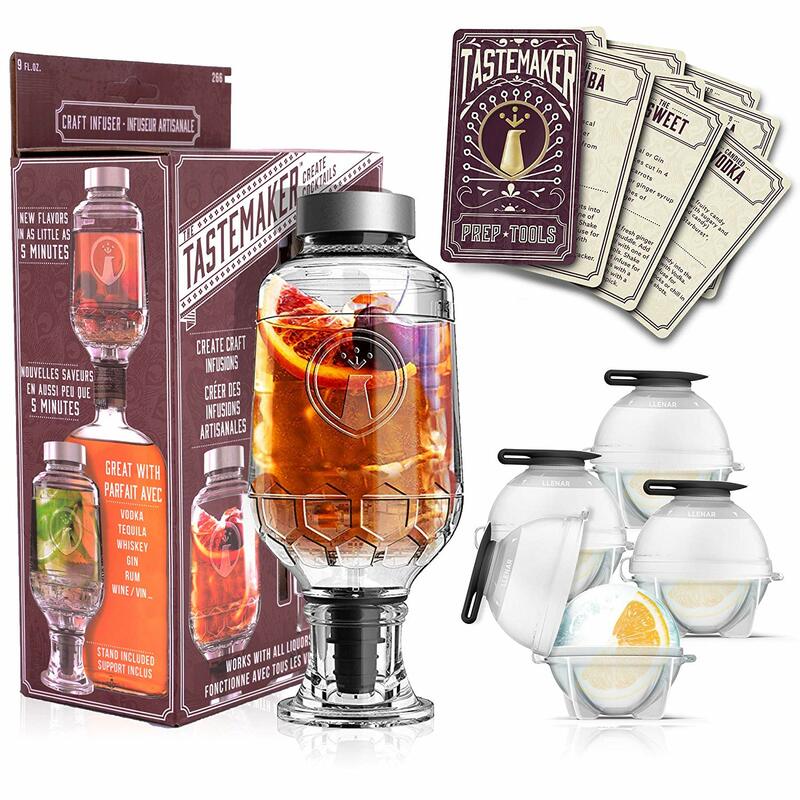 Cocktail Shaker Infuser Set, Active Infusion, Be an Infused Alcohol Cocktail Mixologist using the 10 Homemade Flavored Recipes + 4 Round Ice Ball Molds, Best Home Bar Kit, a Great Gift Item! COMPLETE COCKTAIL INFUSING SET – Everything needed to make your own homemade infused spirits. Set includes Infuser with a built in stainless steel mesh filter, perfectly shaped rounded Ice ball molds + 10 Exclusive Drink Recipes. Infuser has a capacity of 9 fl oz. CREATE 100% PURE AUTHENTIC CONCOCTIONS – Tastemaker allows you to Create your very own spellbinding concoctions while managing the purity and honesty of the infusion ingredients – no strange flavorings or additives. Personalize it to your own unique taste. AMAZING CONVERSATION PIECE – The Tastemaker cocktail set makes for an excellent conversation piece. Guests are bound to ask about it and about its amazing functions. 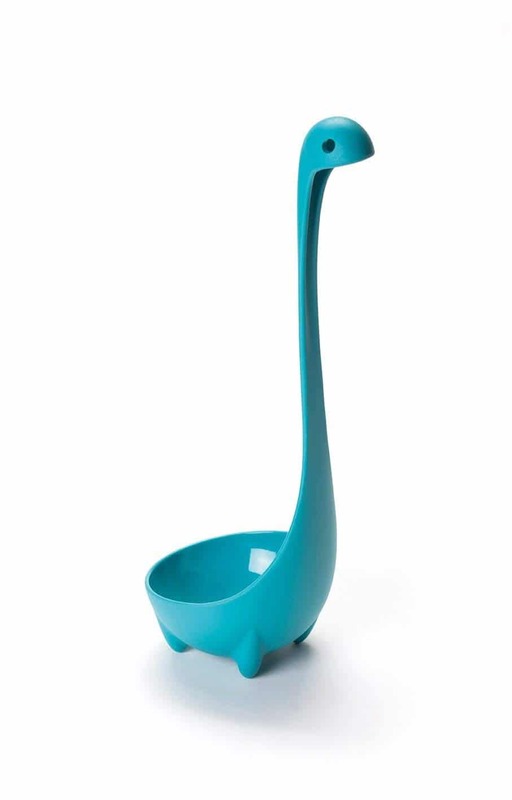 It’s simple to clean being that its Dishwasher safe and 100% BPA Free. QUICK, SIMPLE & EASY – Grab a bottle of distilled vodka or any base liquor, throw in your favorite fruits, herbs, candy or spices, then watch it infuse in as little as 5 minutes or wait up to 24 hours to get a complete thoroughly infused cocktail, Strain and Enjoy! 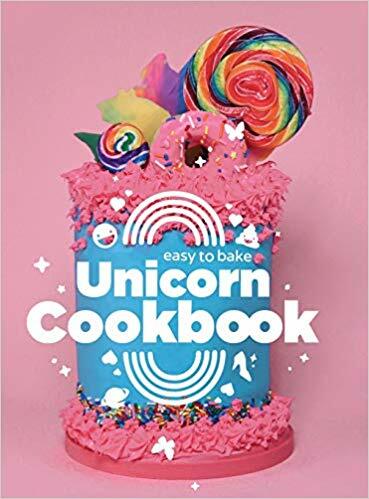 Cinderly’s Easy to Bake Unicorn Cookbook includes beloved childhood classics, “Unicorn Hot Chocolate,” “Slumber Party Unicorn Balls,” “Rainbow Cake Nirvana,” “Jurassic Sugar Cookies,” and more. With recipes that can be made in as little as 20 minutes, the hardcover edition cookbook is filled with 90 pages of vibrant and full-color photography, step-by-step instructions, and a decorating guide. With a mission of making cooking a more whimsical and carefree experience, Cinderly’s recipes are designed for moms, tweens, and children, who dream of creating their own wild masterpieces in the kitchen. All of our products contain eight or fewer basic ingredients, each of which are minimally processed. This gives our snacks a wholesome goodness, just like those you would make at home … from a recipe you’d find in a cookbook … with ingredients from your own kitchen pantry. Here are some of the ingredients you’ll find in our snacks: toasted and rolled oats, rice crisps, dark chocolate chips, roasted peanuts, dried real strawberries, molasses, canola oil and natural vanilla extract. 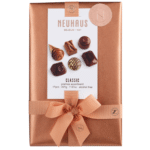 Neuhaus Authentic Belgian chocolate, composed with care. For more than 160 years, Neuhaus has remained the originator, the innovator, and the quintessence of Belgian Chocolate excellence. 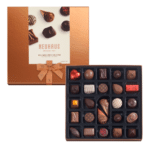 Neuhaus chocolate is a symphony of taste and texture – still crafted entirely in Belgium with the finest non-GMO ingredients from the best regions of the world. Always composed with the utmost care by our Maîtres Chocolatiers and imported fresh weekly. At Neuhaus, we believe in taking the time for real and profound human connection. Because, ultimately, we believe that the refined chocolates we create bring people moments of joy and connection to one another, enhancing their well-being. 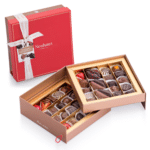 After carefully reviewing the world’s finest chocolates, Bloomberg Pursuits honors the Neuhaus classic chocolate truffle with the distinction “Best Chocolate Truffle in the World”.